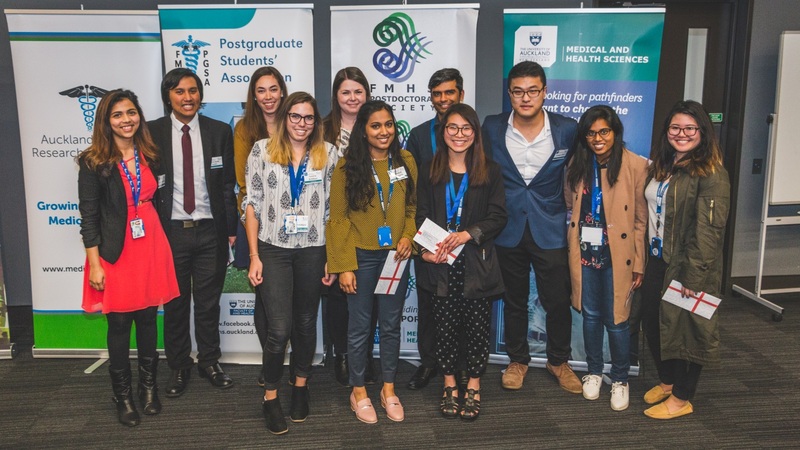 HealtheX is an annual student-led conference, which promotes research collaboration and excellence in presentation skills among postgraduate students in the Faculty of Medical and Health Sciences (FMHS), at the University of Auckland. HealtheX supports emerging scientists’ development by providing a safe platform in which to communicate their research to a wider audience. This is essential for young researchers who must learn to present their science in a way that engages public opinion and secures ongoing funding. Chaired by students of the Centre for Brain Research, Joseph Chen (MSc Candidate) and Akshata Anchan (PhD Candidate), the event was organised entirely by the post-graduate students from FMHS. HealtheX now has over 100 volunteers, including students, staff mentors and judges, and has become a well-received and valuable annual event. HealtheX 2018 was sponsored by Auckland Medical Research Foundation, Maurice and Phyllis Paykel Trust, FMHS Postdoc Society and FMHS Postgraduate Students Associations. These generous contributions are shaping the future of scientific research in New Zealand.